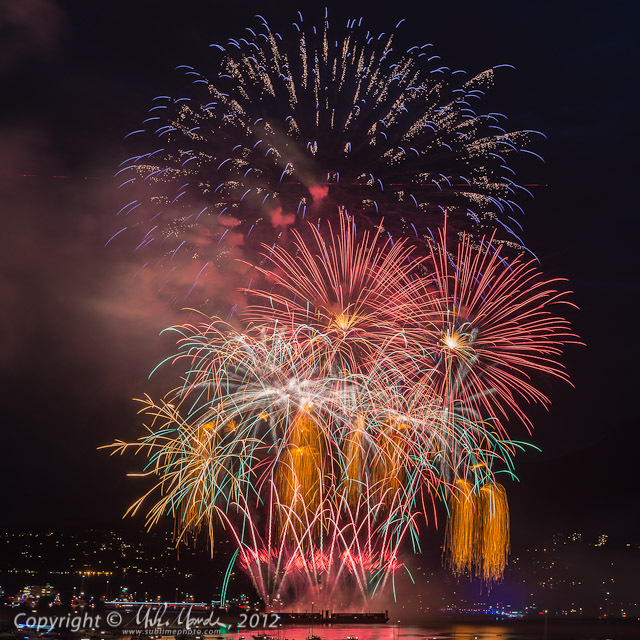 I shot Italy's fireworks with a 200mm lens from the pier at Jericho Beach. 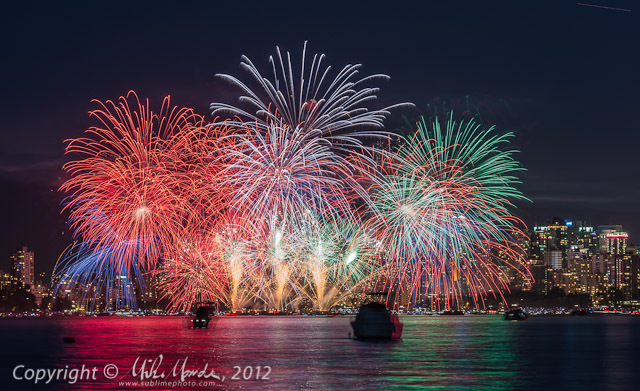 Initially, with the wind at my back, I was hoping to be lucky and have the smoke blowing behind the fireworks again. Not so. As it got dark, the wind totally died down and during the fireworks, the smoke just hung around. Oh well, I got lucky two times out of three this year, so not bad! I had to be very careful to avoid the many really bright flash bursts, to prevent all the smoke from totally blowing out, and it looks as though I did reasonably well that way. I was surprised how many turned out, despite all the smoke, which even added a bit of interest perhaps.